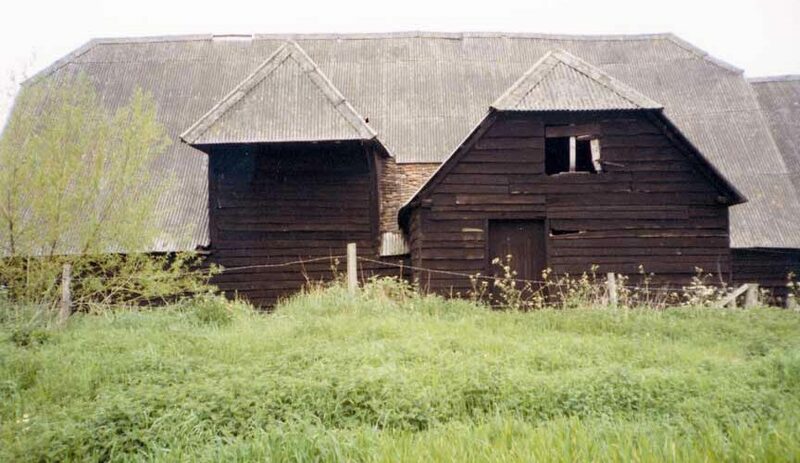 The Black Barn at Bucklebury was a recording project undertaken as an exercise in 1985 by members of the WEA Industrial Archaeology class at Reading University. From this class the Berkshire IA Group was formed. Members of the class were given permission to record in detail an old wooden barn which also had a small mill at the side. Detailed drawings were produced together with a collection of photographs. Copies of the drawings were placed in the records of the Museum of English Rural Life (MERL). 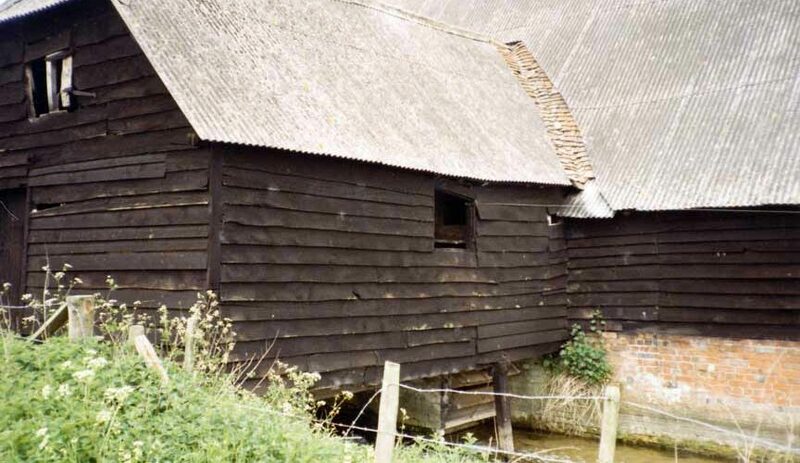 The Black Barn was built about 250 years ago on the River Pang, near Bucklebury. The barn had a small mill attached to it. This was one on a number of small mills on the Pang built to grind corn for animal feedstuff. 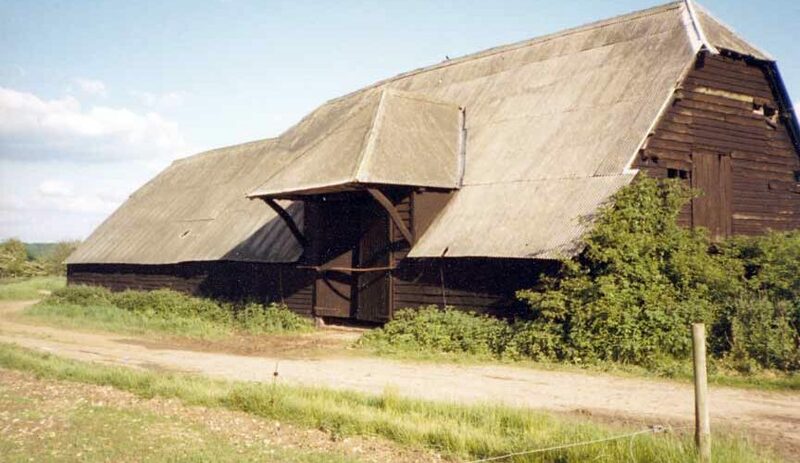 About 1999 the barn was destroyed by fire; all that remains is the shell of the mill extension.